Oil on canvas board. 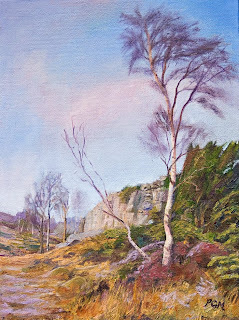 9"x12"
Whitbarrow is one of my favourite locations. It is a large limestone outcrop close to the head of Morecambe Bay in south Cumbria. It has a number of rare species of orchid present and is particularly good for butterflies during the summer months.